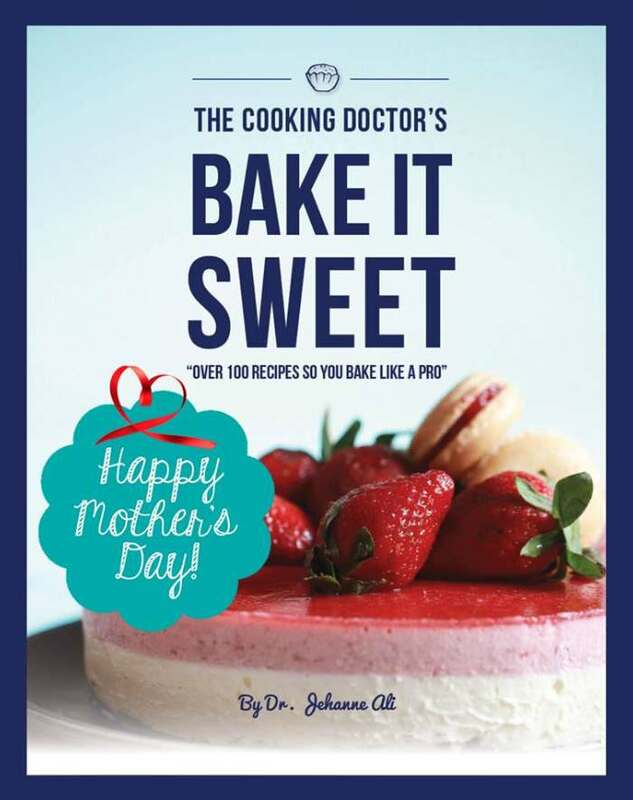 We have teamed up with Dr Jehanne Ali, also known as The Cooking Doctor for this ultra sweet giveaway in celebration of Mother’s Day weekend. One seat each to the official launch and cooking demonstration of “Bake It Sweet” held on 21 May, Sunday, 1.30pm @ APS Gallery. Includes live stations shaping chocolate truffles and pretzels, as well as afternoon tea of sweets baked from the cookbook. Do all the above by 14 May 2017, Sunday! * Giveaway contest is open to all Singapore residents. * THREE winners will be randomly picked – 1 to win a cookbook and 2 to win 1 seat each to the launch event. It is a compilation of 120 recipes from cakes, cupcakes, tarts, choux, cookies, ice-cream, macarons, sweet dough, croissants and teatime treats that you can bake at home. All the recipes have been tested and some popular ones such as Croissants, have been taught in Dr Jehanne Ali’s hands-on baking classes with great success. Where possible the recipes are baked with reduced or natural sugar, and healthier without preservatives or emulsifiers. There is a special masterclass chapter at the beginning of each section to guide the homebakers to learn the techniques before embarking on the recipes. Just like the tagline, ‘so you bake like a pro’. Bake It Sweet is retails at SGD45, available now exclusively via pre-order (please email thecookingdoctor@gmail.com), and subsequently in all bookstores. Dr Jehanne Ali is a practising medical doctor who is passionate about baking. She is also the founder of Sg Bake Club, which focuses on hands-on baking workshops on artisan breads, pastries and healthier cakes. She has written numerous articles on international platforms such as BBC Good Food Asia, Food52 New York and has been commissioned to create healthy recipe developments, by reputed companies such as Roche pharmaceuticals. She is also cookbook author on series of heart healthy mini cookbooks by Marshall Cavendish. Find out more at Le Creuset.